On their journey they'll deal with MarshVampires, Franken fellow monstrosities, and of course try to stop the onslaught of the invading Zombie Marshfellow horde. The Zombie fellows are way too toasted and our Prince must find his father, who has been absent for a long time looking for the old magical fires and the mysterious Stick of Roasting to stop the dark, evil force that none of the homeless wizards know enough about. Every step of the way the Prince and his friends will have to deal with the fact that they're merely soft, delicate dessert food, no older than adolescents, living in an increasingly terrifying world of epic candy propositions. Like their quest to fend off monsters, our kids will combat the REAL fears of growing up and the challenges of managing new friendships. 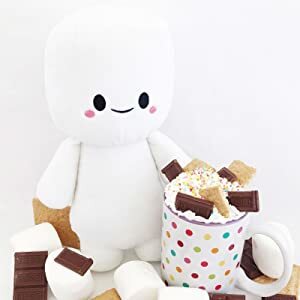 These cute and cuddly Marshfellows are made with an ultra-soft Minky fabric and double-stiched on every seam to prevent tears! 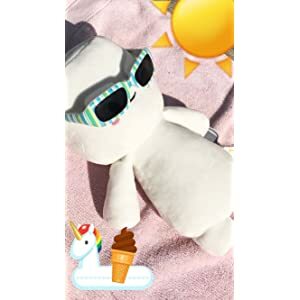 Marshfellows love going on adventures, and they don't even melt in the sun! The perfect gift for that special someone with a sweet tooth! After their Kingdom was S'mored, we took it upon ourselves to find them all homes! 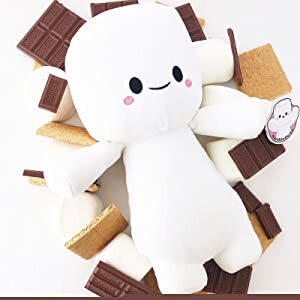 Adopt your very own Marshfellow today , its love at first squeeze! 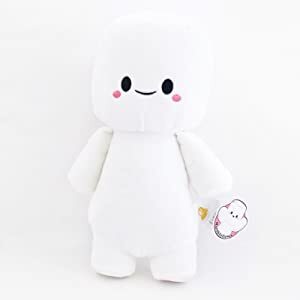 I purchased this cutie pie for myself but my daughter fell so in love with "her" that I'm going to have to get myself another. Love that the eyes are not buttons that can be ripped off but are actual thread sewn on. Can't wait to see what comes out next from Marshfellows! This is the cutest plushie guy ever! I mean he's so cute, a little marshmallow - what's plushier than a white marshmallow?? I gave this to my daughter and she squealed and squeezed it immediately and then began sleeping with it every night. She loves it. Especially since we have a sort of obsession with the DJ with the same name. LURVE it. Soft. Well-made. Lovely. You couldn't ask for anything better. Plus, with the white all over you would think it would stain. Nothing yet. That's awesome. 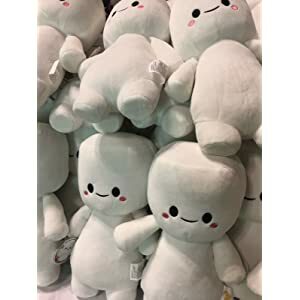 Super cute, soft and squishy! This little fella is super adorable. Seller was pleasant to work with! The Marshfellow is true to description. Soft and cuddly! A must for all ages! Absolutely perfect! Arrived right on time and in great condition. Super soft and cuddly!! It's like cuddling a fluffy, well marshmallow! The material is perfect for young to old and I enjoy that they made the face with stitching and not plastic pieces that can pop off in little mouths. You can tell the creator spent a lot of time on details from the fabric to the tag. Truly adorable and just might have to get more. A whole army of them! Love this Lil guy so so soft hope to see more Marshfellows in the future.